Contemporary spot in the Westgate Resort serving thoughtfully sourced steaks & seafood & fine wines. Since its inception in December of 2012, Edge has won many accolades. 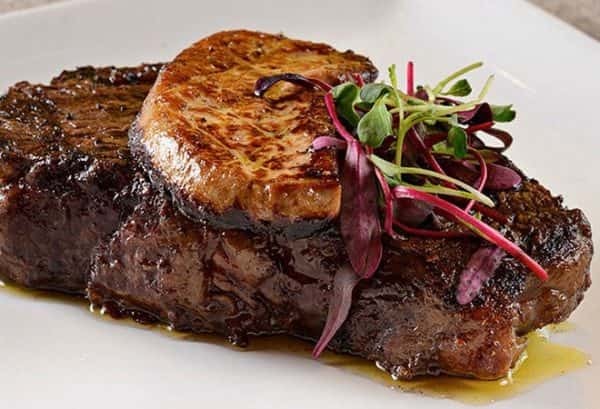 Edge was recently names one of USA Today's Top Restaurants in Park City, As well as one of Forbes Magazine's Top 12 Steakhouses in the nation. Edge Steakhouse was awarded the Best of State Steakhouse Winner three years in a row, and a two-time Best of State Statue winner. In addition to being Forbes recommended, Edge has received the Wine Spectator Award of Excellence, numerous OpenTable awards and the TripAdvisor Certificate of Excellence. Take your fine dining experience over the Edge, more than just a traditional steakhouse, each item at Edge is a creative masterpiece. Where Las Vegas meets the mountains and gourmet fine dining meets a steakhouse, Edge Steakhouse truly delivers a 5-Star experience. Winner of the 2013 & 2015 Best Overall Dining Establishment, Best of State® Steakhouse, Wine List and Fine Dining Chef, Edge uses only Prime Aged or Wagyu Beef and every indulgent dish is a star. Fresh seafood is flown in daily and pop-overs are steaming at each table. Edge... experience the new wave of Fine Dining.